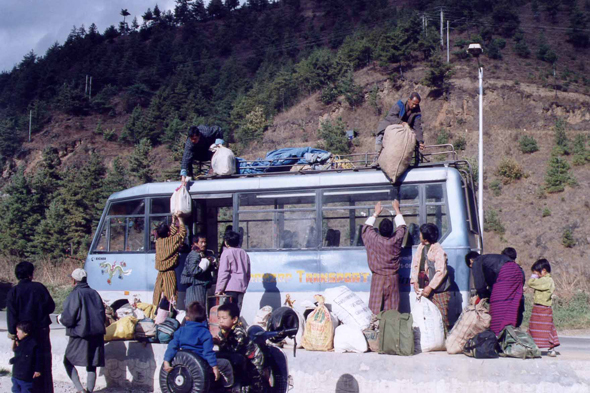 A bus, in Thimphu. Unless being invited officially by the government, it is impossible to go to Bhutan as an individual traveller. The price of the day includes all the terrestrial services and is officially of 200 USS per person and day for all cultural or trekking trips.